Do you find yourself juggling too many items in your hands as your head out the door to take your doggy for a walk? The sound of your cell phone hitting the pavement is never a nice sound, so here’s a really well designed Dog Walking Belt that can help to eliminate all that juggling and might even give your cell phone a longer life span too! So many times, as I’m heading out to walk my dog, I find myself trying to juggle my dog, the leash, poop bags, my keys and maybe even my cell phone too, if I happen to be waiting on an important returned call, but my dog just can’t hang out for that unreturned call any longer!! 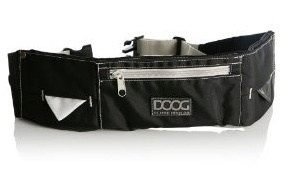 If this scenario sounds all too familiar to you, check out this well priced Dog Walking Utility Belt from DOOG. 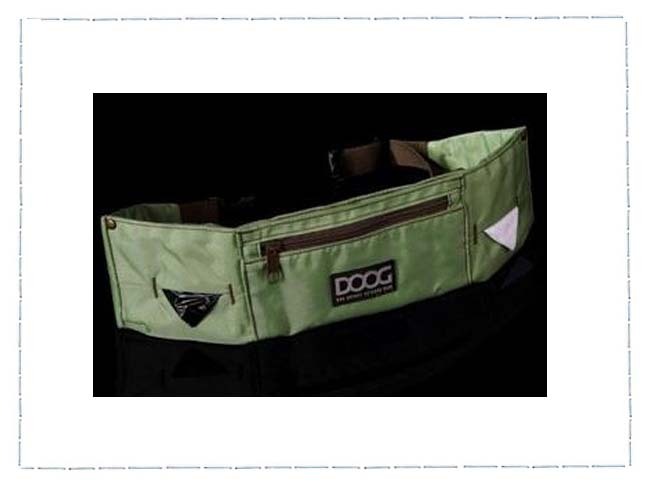 This belt has been well thought out to include all the perfect pouches to house your keys, cell phone and doggy poop bags so you can go virtually hands free on your walk. And if you dog is not so large that they could create a hazard by pulling you off your feet if they happen to catch sight of that squirrel up ahead, then you can even clip your pooch onto the belt to leave your hands free to power walk or answer that important returned phone call when it finally comes through. These belts are available in a variety of eye catching colors too and are well priced, so they could also make a perfect gift for that pet lover on your gift list.